One thing that is characteristic of this traditional village is the staple food that is not rice like most Indonesian people, but cassava. 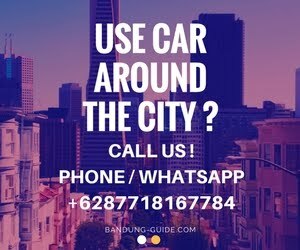 The people of Cireundeu village have also protected nature reserve forest called Forest Prohibition and Tutupan forest which has an interesting spot for photographing Bandung city scenery. The shift of staple food of indigenous people of Kampung Cireundeu from rice rice to cassava rice began in approximately 1918, which was pioneered by Mrs. Omah Asnamah, Son of Haji Ali who later followed by his brothers in Cireundeu village. Ibu Omah Asnamah started to develop this non-rice staple food, thanks to his pioneering Government through Wedana Cimahi gave an award as "Hero of Food", exactly in 1964. Most of the people embrace and hold firm belief called Sunda Wiwitan. This Sunda Wiwitan teaching was first brought by Prince Madrais from Cigugur, Kuningan in 1918. One of the biggest ceremonies by the Kampung Adat (Traditional Village) Cierundeu is 1 Sura. For the people of Kampung Adat (Traditional Village) Cireundeu the celebration of 1 Sura is like the Eid for the Muslims. Before the year 2000, when the celebration they always use new clothes. But after their customs were institutionalized so that at the time the men wear black pangsi clothes and headbands of batik cloth. As for the women wear white kebaya clothes. The fruits are shaped like janurs, conical rice cones, crops such as spices and cassava that are supplementary in this ritual. Besides art kecapi flute, ngamumule Sundanese culture and wuwuhan or advice from the Elders or Chairman of Adat become harmonious in the ceremony 1 Sura. Favorite spot for taking pictures is Batu Cadas Hanging or often also called Elephant Langu. It is an hour's walk from Cireundeu village. On the way to the spot, visitors will be spoiled with landscaping cassava planting land side by side with beautiful landscapes. Arriving at Batu Cadas Hanging, visitors back pampered with views almost 1800 Bandung city and its surroundings. However, there is no Cireundeu protected forest protected by the general public under any circumstances, only indigenous peoples may enter in order to maintain the condition of the springs so as not to be damaged. If the general public wants to visit the Tutupan forest it should be accompanied by indigenous people. Uniquely, visitors should not wear footwear if visiting Baladahan Forest which is one of the areas in the forest cover. 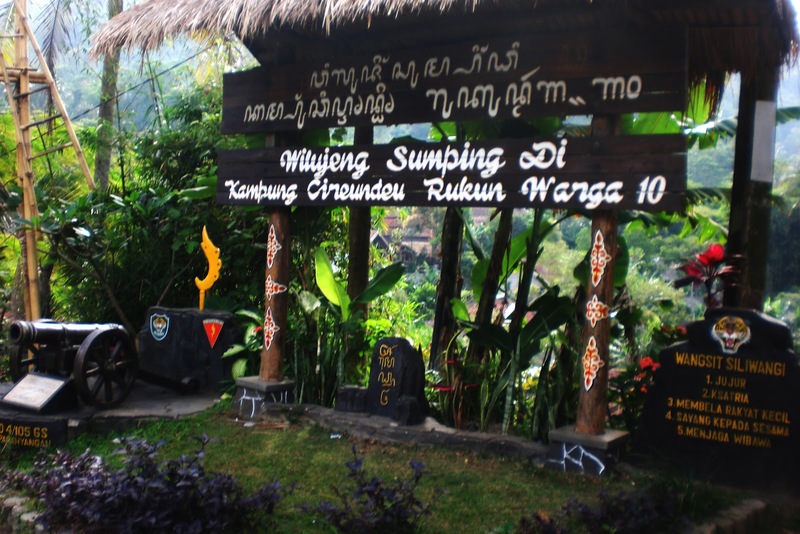 Kampung Cireundeu is a traditional village located in the valley of Gunung Kunci, Gunung Cimenteng and Gunung Gajahlangu, but administratively Leuwigajah Village, South Cimahi District, Cimahi City. You can reach Cireunde through the Baros Toll exit located in the Padaleunyi Toll. Kampung Cireundeu can be reached in about 30 minutes from Baros Toll exit. Should go directly to the house Chairman RT or village hall to report or permission to go to the village and want permission if you want to the natural attractions of protected forest Kampung Ciruendeu. Residents around the village are friendly and cooperative.